Microsoft yesterday showed how it will distribute security updates to Windows 10 as it packaged all those that apply to the new OS in a single download. That's different from how Microsoft has treated -- and continues to treat -- earlier editions, including Windows 7, which receive each security update, called a "bulletin" by Microsoft, separately, in its own file. "Microsoft has changed the game with its Windows 10 patches. Instead of releasing patches individually, it is now releasing patches in bundles," said Chris Goettl, product manager at patch management vendor Shavlik, in an email. "This makes it easy to patch systems, but it also means that users can no longer test patches individually before integrating them, which could be problematic if one patch causes issues." Tuesday's "Cumulative update for Windows 10: August 11, 2015," collected the six bulletins that applied to Windows 10, three of them rated "critical," the most severe in Microsoft's four-step threat scoring system. 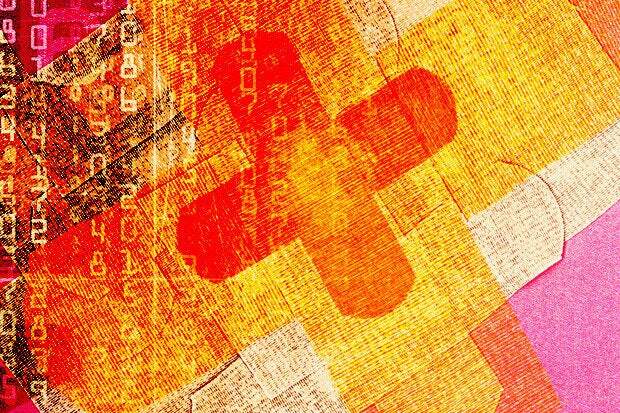 The bulletins ranged from one each for Internet Explorer 11 (IE11) and Edge -- the two browsers now tucked into 10 -- to another critical bulletin that patched a slew of vulnerabilities in the OS. Altogether, Microsoft patched 29 flaws with the Windows 10 update. The Redmond, Wash. firm issued a total of 14 security bulletins Tuesday. "The way they're packaged, it's a single installer," said Goettl in a Wednesday interview. As he noted, Microsoft has traditionally delivered individual bulletins, which are downloaded as needed by each device. That flexibility meant Microsoft did not have to bundle bulletins for each operating system -- one parcel for Windows 7, another for Windows 8.1, a package for Windows Server 2012 R2 -- as it has for Windows 10. At the same time, the practice let customers reject or accept any one update, a technique many used to avoid patches that had caused trouble, or worse, for others. That's not an option for Windows 10, which with the exception of some IT-managed machines, lacks a mechanism to deny any update indefinitely, much less unwrap a bundle into its separate pieces. In fact, businesses relying on Microsoft's own WSUS (Windows Server Update Service), or any other patch management platform for that matter, are in the same boat as consumers who grab patches from Windows Update: The Windows 10 bundle cannot be unraveled into its six bulletins. The bundle was distributed to not only Insiders and consumers running Windows 10 Home, but also to businesses running Windows 10 Pro and Windows 10 Enterprise Goettl confirmed; those last two SKUs (stock-keeping units) grab patches via Windows Update for Business (WUB), WSUS, or other patch and update management software. Even organizations running Windows 10 Enterprise that have adopted the "Long-term servicing branch," or LTSB -- the track that most closely resembles the historical update process -- saw the bundle. Goettl stressed that the security bundles are the new normal for all users of Windows 10, but also worried that an inability to extricate the individual updates would be an issue for businesses who want, or need, to pass on some for regulatory or policy reasons. "That's where I think problems are going to come up," he said, ticking off FDA-approved medical devices, point-of-sale systems, and government PCs like those in the Department of Defense. "This will require a mindset change [in IT] and a process change." He also wondered whether Microsoft would continue the practice of delivering cumulative updates only. So far, the Windows 10 updates have been cumulative, meaning that they include older updates as well as the newest. "Is this going to be the norm from now on? If the August [cumulative] update breaks something, will there be a broken chain from there?" asked Goettl, afraid that if one of those updates crippled, say, a specific application used by a business and Microsoft was not able to fix the problem, the customer would be stuck not only with a busted app but also out of the future patch loop because patches will only download and install on an up-to-date system. Those questions have yet to be answered by Microsoft. In part, that's because Microsoft has not established separate tracks for Windows 10: So far, it's been serving the same updates at the same time to everyone, including its Insider preview participants as well as those running the production build. According to Gabriel Aul, engineering general manager for Microsoft's OS group and the spokesman for all update topics, that won't last. "We're in an unusual time, when Insiders have same bits as public," Aul tweeted on Aug. 5. "When Insiders move forward, we'll see ringed updates." Aul's reference to "ringed updates" was to Microsoft's plans to segregate customers into multiple update tracks -- called "branches" -- and within each track, two or more "rings." The latter will let users get on the fastest update "train," or delay updates to some extent. Goettl was by turns optimistic and downbeat about how Microsoft would distribute patches to Windows 10 PCs in the future. "I don't foresee a change [in the bundling aspect]," he said. "But are they going to stop [shipping just] cumulative updates?" On the latter, he hoped that Microsoft was delivering cumulative updates only because it's early in Windows 10's roll-out, and that the company was pressing to get everyone on the same build but would later issue non-cumulative collections. "I think they're trying to get everyone onto the same level, and in the future updates will no longer be cumulative," said Goettl. "That would give enterprises a bit more control." But maybe he shouldn't hold his breath. "Windows 10 updates are cumulative. Therefore, this package contains all previously released fixes," Microsoft said in the support document accompanying Tuesday's patch bundle [emphasis added]. "If you have previous updates installed, only the new fixes that are contained in this package will be downloaded and installed to your computer." That sounds as if Microsoft will continue its cumulative-only strategy, serving up changes -- the "new fixes" -- to customers who have kept up. Microsoft distributes security updates to Windows 10 in a mega bundle, not individually, as it has for decades to earlier editions, like Windows 7.